Benitoite is an extremely scarce and beautiful gemstone which is found only in San Benito County, California (since 1985 benitoite it the official stone of California), for which it is named. It was discovered in 1907 by Jim Couch and L. B. Hawkins (separately discovered) and because of its blue color it was thought to be sapphire. 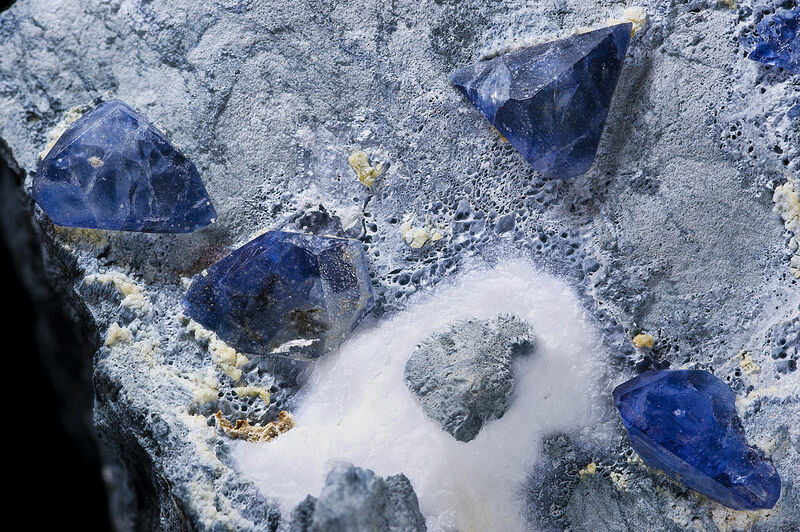 Benitoite is a transparent gemstone with color hues varying from sapphire blue to colorless. It has exceptional optical properties, with particularly strong fire rivalling that of diamond. This fire is somewhat masked by the color of the stone in blue gemstones and it is more apparent in colorless varieties. Benitoite gemstone is much rarer than its price suggests. Less than 100,000 carats of gemstone have been and polished in almost 100 years since its discovery, compare this with over 90 million carats of gem-quality diamonds excavated per year. The finest benitoites can sell for thousands of dollars per carats in sizes over 2 carats (this price will be under 1000$ for gemstones less than a carats).